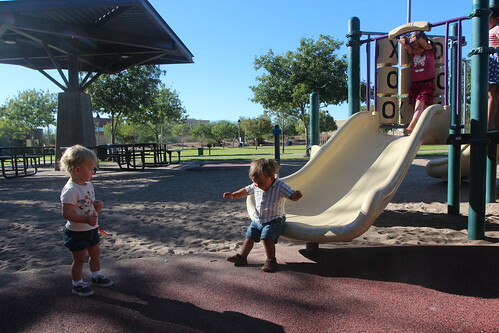 Mali Mish – Buckeye Regional Park and Phoenix, Arizona. 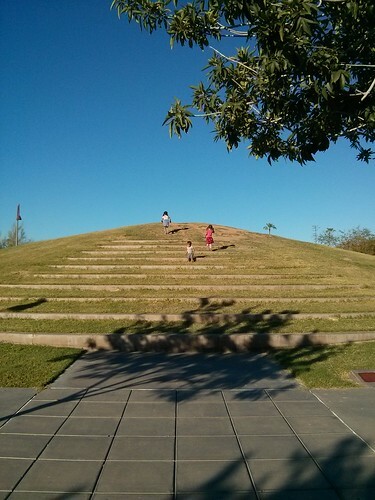 Buckeye Regional Park and Phoenix, Arizona. 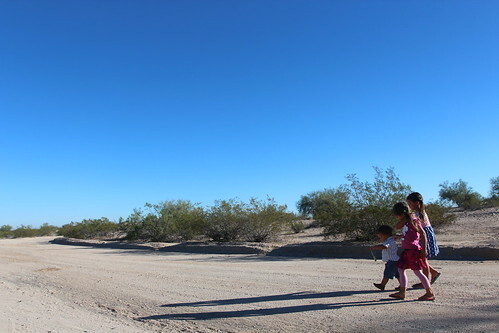 When we left Salvation Mountain, we decided to make the drive all the way to the Phoenix area. We made the 250 mile drive which is a long ways for us in one night. 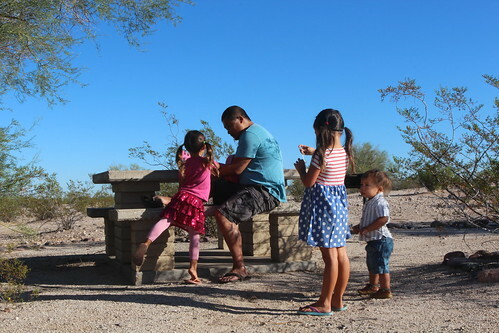 We decided to check out Buckeye Regional Park which offers free camping in designated sites. It was kind of tricky getting to a new spot at night but we managed to find a good spot. 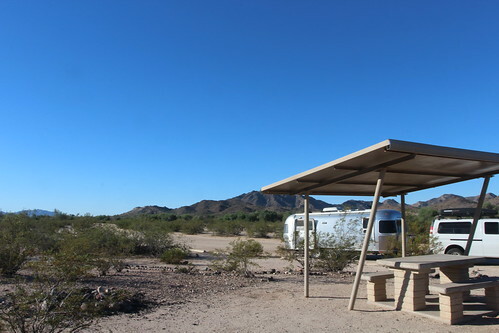 The campground at Buckeye Regional Park offers picnic tables and ramadas and it is completely free. There are no hookups so it is pretty much a boondocking spot. There was not a single camper at the park besides us. We would have totally stayed here for a few days if it wasn’t for the Balloon Fiesta calling our name in Albuquerque. We enjoyed the entire park to ourselves for a little while and decided that we will move on to make our way closer to New Mexico. Our plan was to hit up the gold mine of of the National Parks and Monuments between Phoenix and Albuquerque on our way there. The only problem is that while we were there, the biggest news in the country is the government threatening to shut down the Department of the Interior which controls all of the BLM and NPS systems. It is not looking good for us in building up our Junior Ranger badge collection with the pending shutdown looming. 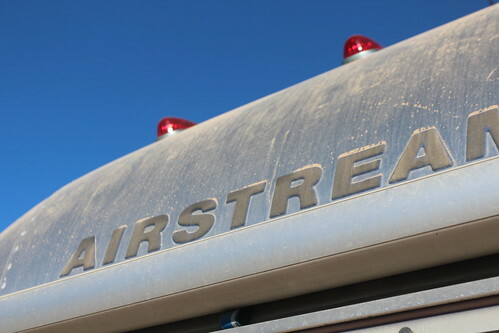 The dirty Airstream is the least of our problems right now. 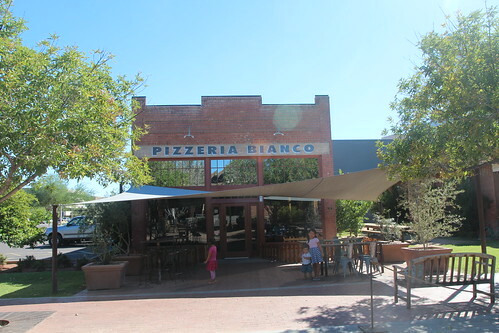 While we are in Phoenix, we decided to try our luck at one of the best rated pizzerias in the country: Pizzeria Bianco. We did not really know what to expect when we came here. We have heard the the wait here for a meal can be as long as 4 hours because of the small dining room and its popularity. It turns out, we got here at the perfect time. It is mid-week and slightly after the lunch hour. We ended up being one of the only people here at this place. 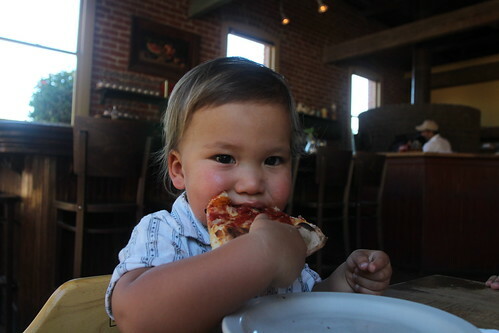 The pizza is everything we expected. The crust was amazing and cooked perfectly. It was however really expensive. A small, thin-crust pizza is about 20 bucks. 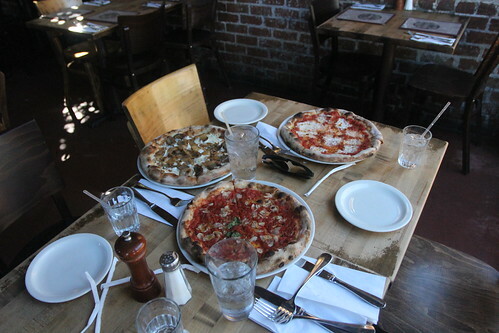 To feed out family of 5, we would have had to order probably at least a pizza for each of us. We ordered 3 and enjoyed every last bite and looked forward to our next, not-quite-as-delicious but much-more-fulfilling meal to come. 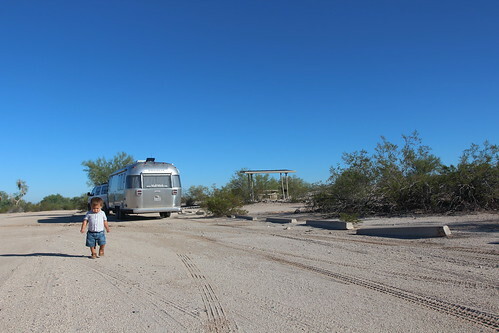 We decided that we would not spend another night here in Phoenix. 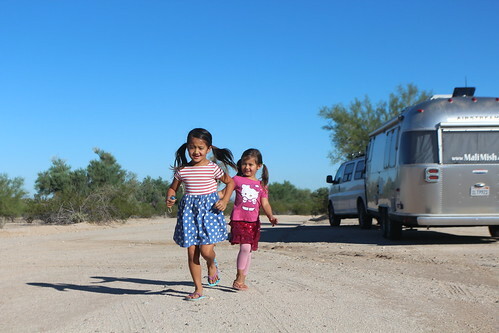 Mostly because we are eager to go see some sights and Phoenix is one of those cities that is a giant sprawling surburban metroplex that we don’t really care much for. We did however get to meet up with an Instagram friend from here at a park. 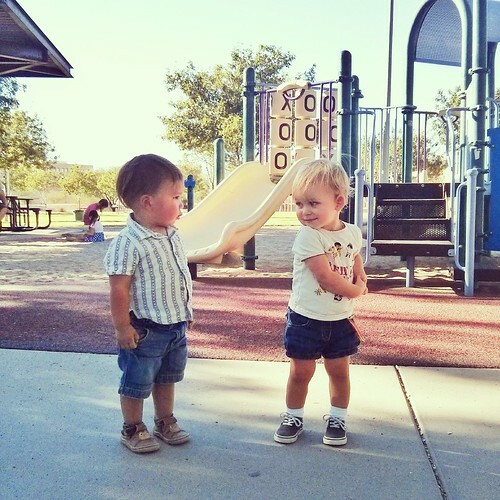 Luka was pretty stoked about having a little girl his age to show off his skills on the slide to. This will not be the last time he will be shot down by a girl. That’s OK. It is a good life lesson for him. We had a great playdate but we will need to move on. We decided to make our way north towards Flagstaff. Tonight, we will head north to Camp Verde, Arizona and spend the night at Cliff Castle Casino. The plan is to try to hit up Montezuma Castle National Monument tomorrow if it isn’t closed from the government shutdown. How to Repack Your Axle Bearings. Sedona, Arizona and Slide Rock State Park. One Response to Buckeye Regional Park and Phoenix, Arizona. I love that last picture of Luka.